This section describes how to setup Ratings in your account. Please note that accounts created after June 28, 2014 are pre-configured with default values. 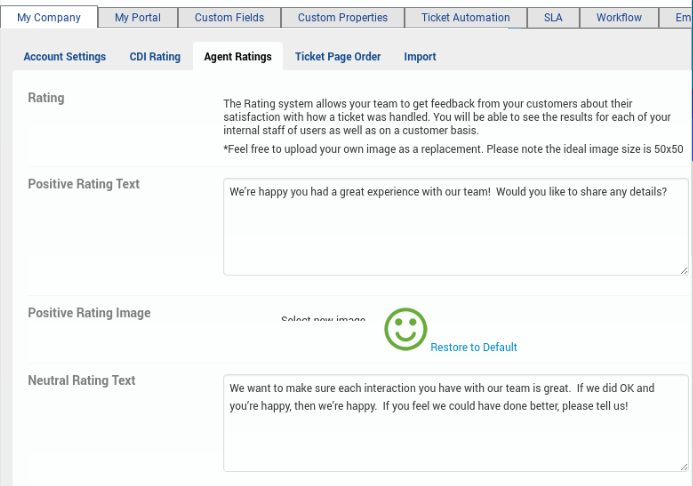 The Agent Rating settings tab can be found at Admin->My Company->Agent Ratings. You are able to adjust the rating text that is presented to your customers, along with the icons associated with the 3 rating levels. External URL: This is the page your customers will be taken to when they click a rating from the initial email. Redirect URL: This is where your users will go after they submit a successful rating. You will also need to make sure you setup your Ticket Statuses and Ticket Email Template correctly. Click here for details on these tasks. 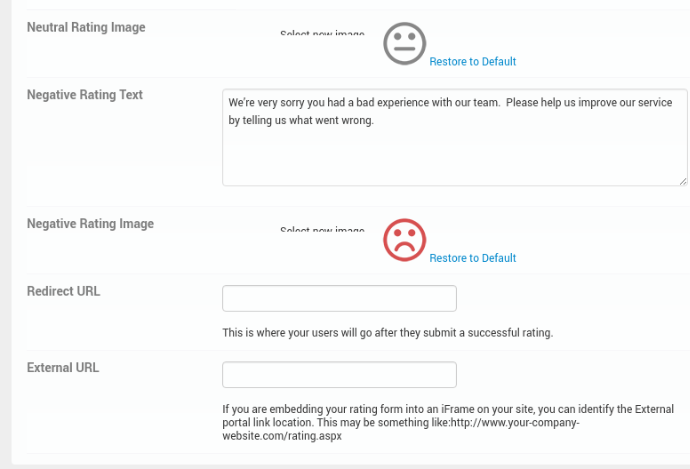 Click here for additional information on how to use Ratings from within the TeamSupport application.